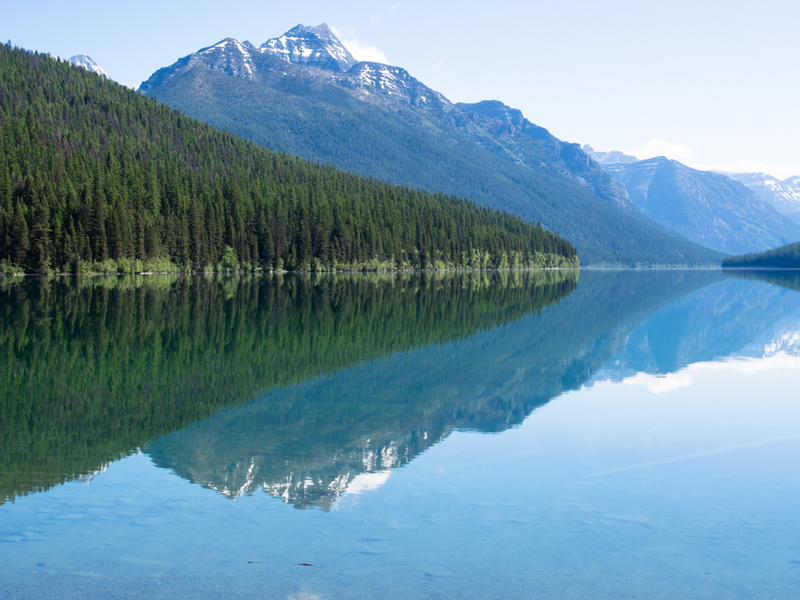 We spent one night at Bowman Lake and the weather was refreshingly nice. There were bugs, of course, but the wind had abated. 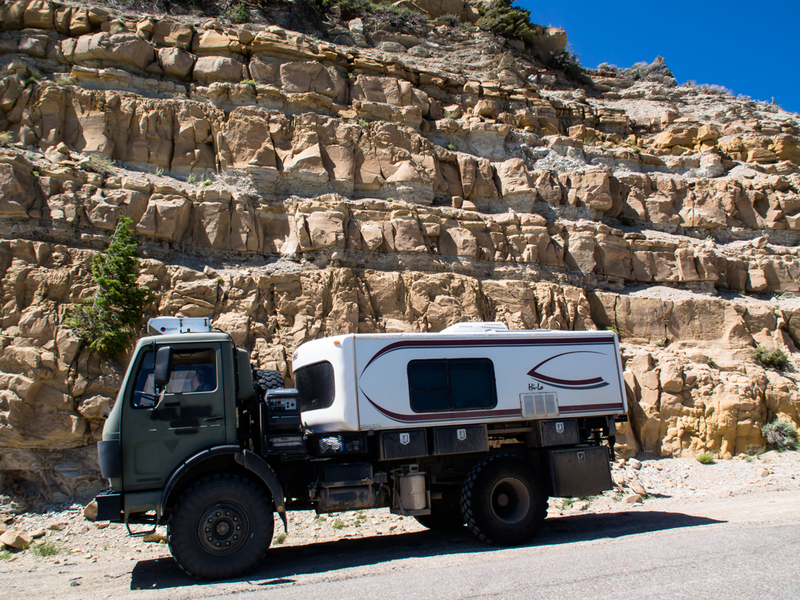 Next morning, we broke camp and headed south with the eventual destination of Grand Junction, CO. 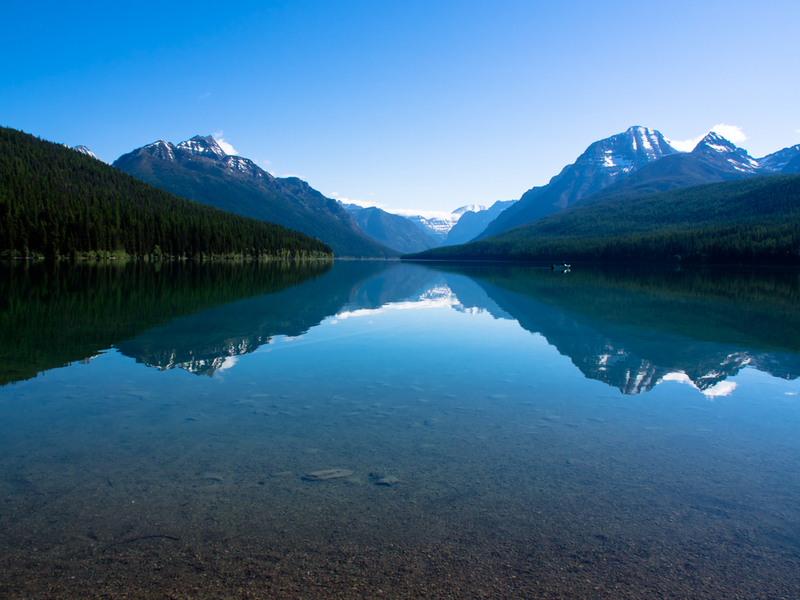 In the morning, Bowman Lake was calm and there was only one boat on the lake. 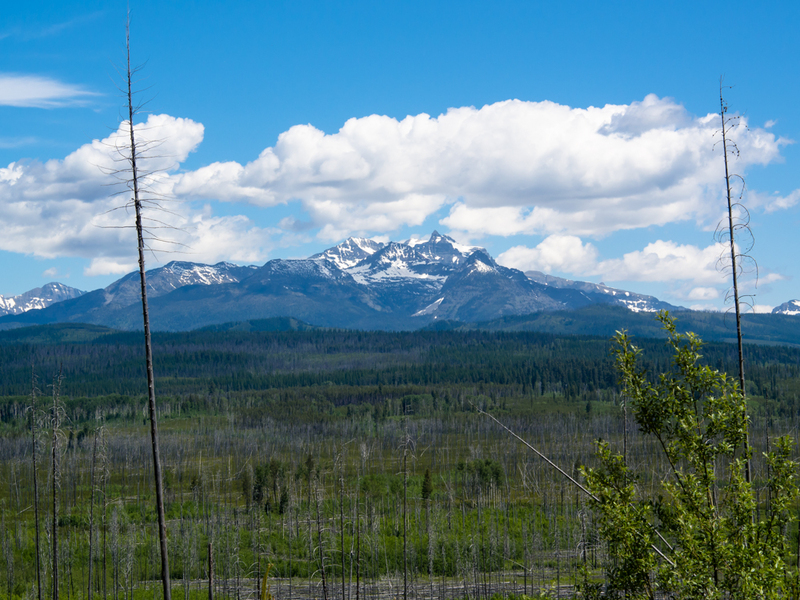 The high peaks were still snow covered but the snow cover was waning with the higher summer temperatures. 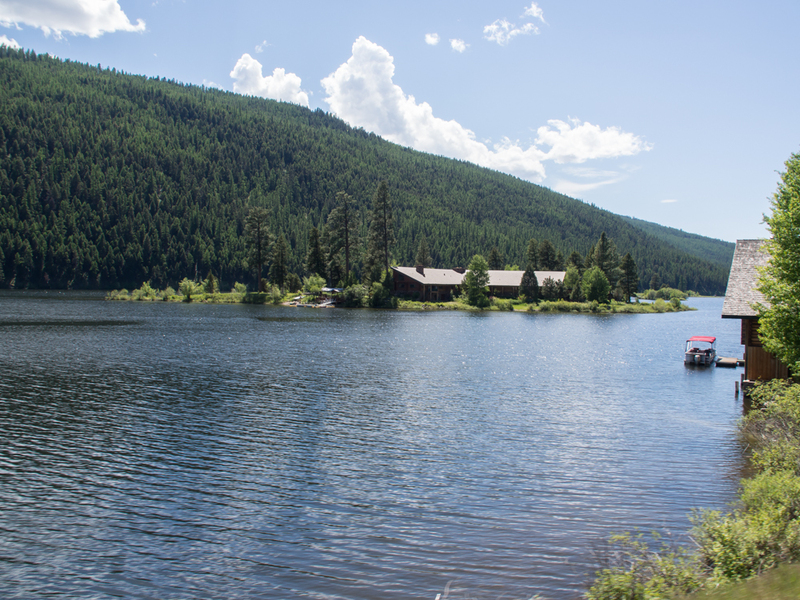 The ranger told us that there is an emergency trail along the north side of Bowman Lake as an "escape route" if boaters and canoers have issues. He had no comment on the bear activity in the area. 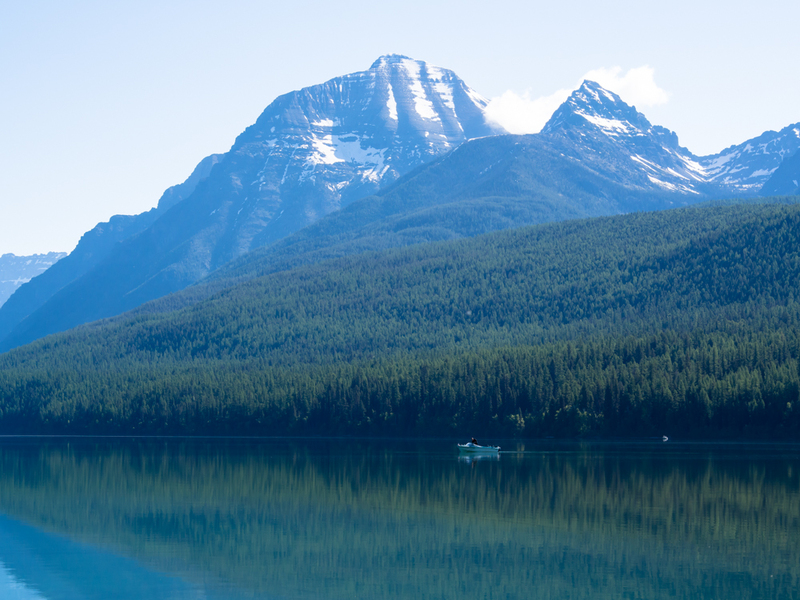 On the 20 mile dirt road south from Bowman Lake we got nice views of the higher peaks in Glacier National Park. 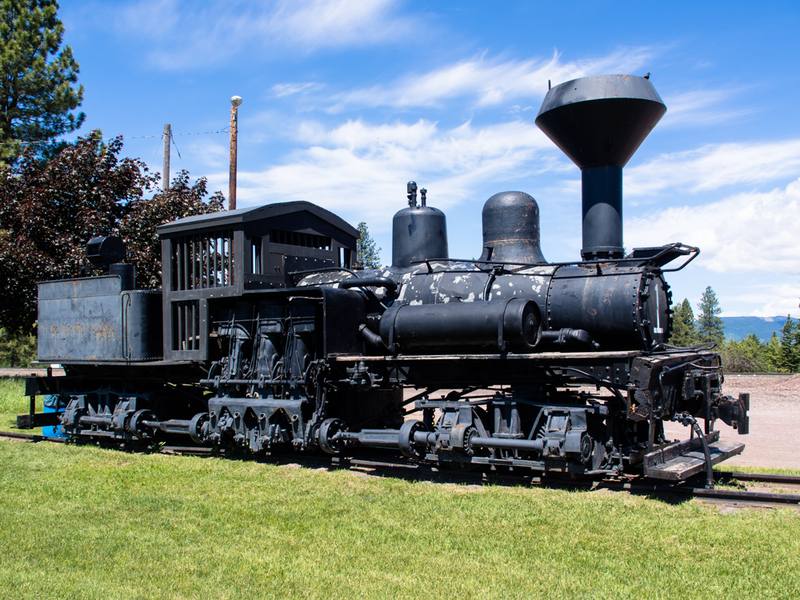 In Columbia Falls, we spotted this Shay Locomotive left over from the logging days gone by. Note the gear-drive on the front and rear axles and the vertical pistons. On Seely Lake we spotted this fellow's house on an island. Boat required to access the home. Now that is living! Heading south on the highway we went over a pass that had snow fence protection on both sides of the road. The fence tells the story of the intensity of the winter winds. 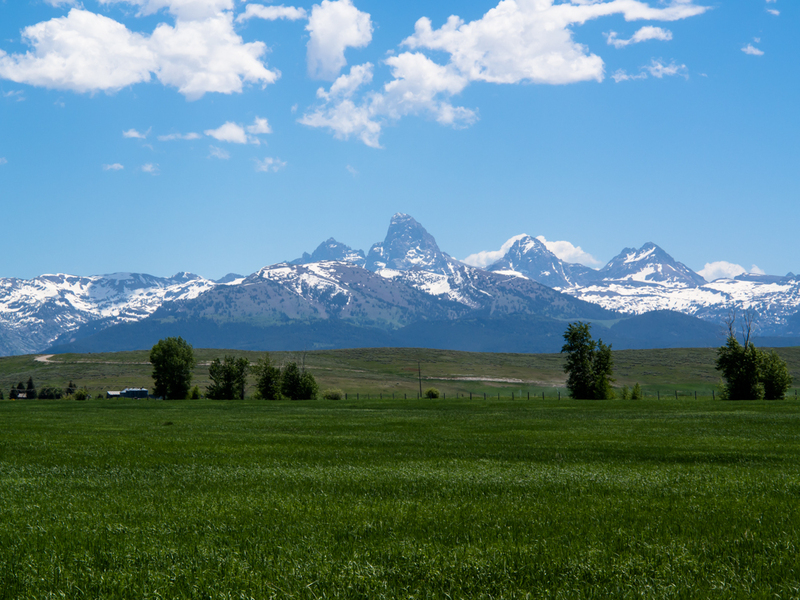 We approached the Grand Tetons on the west side and got a nice view of the peaks from Tetonia. 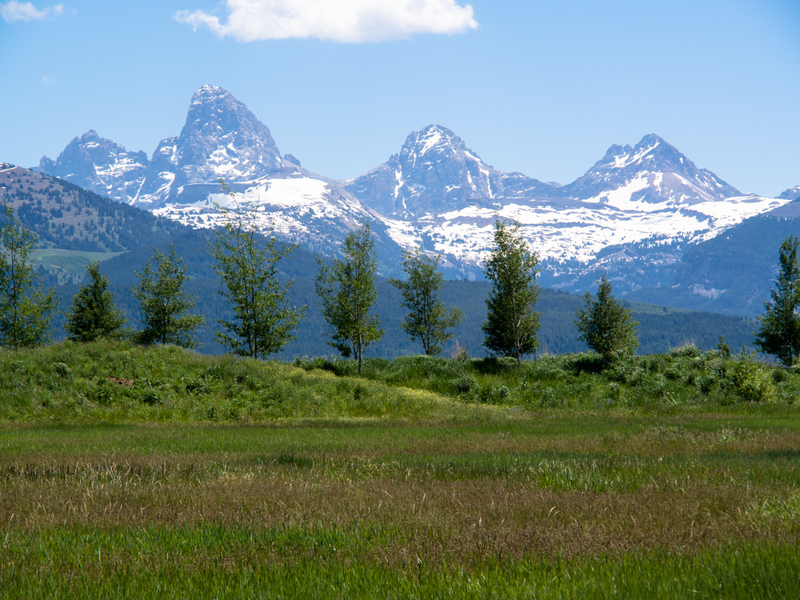 The peaks of the Tetons are over 14,000 feet if my memory serves me. The upper peaks are a challenge to ascend even in summer due to the steepness. 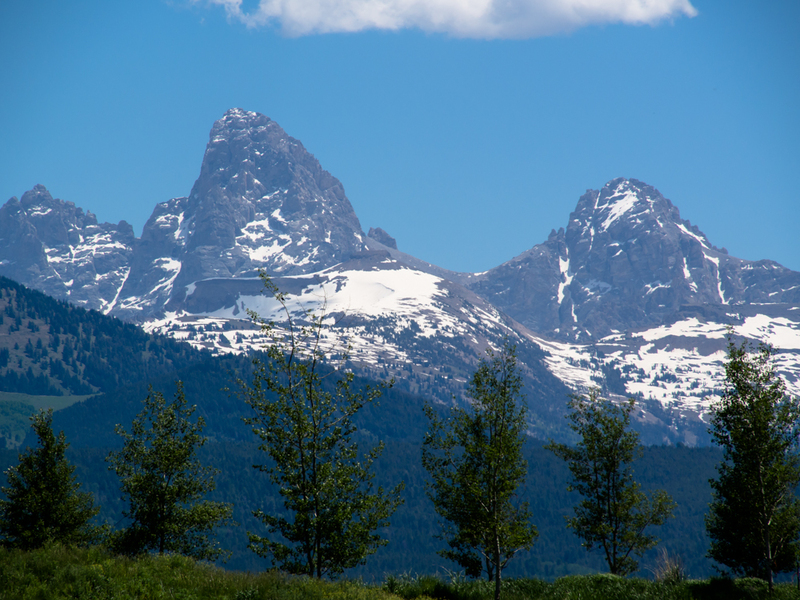 We went over the very-steep Teton Pass into Jackson, WY. The steepness of the grade required great effort on the uphill side and great caution on the downhill side. 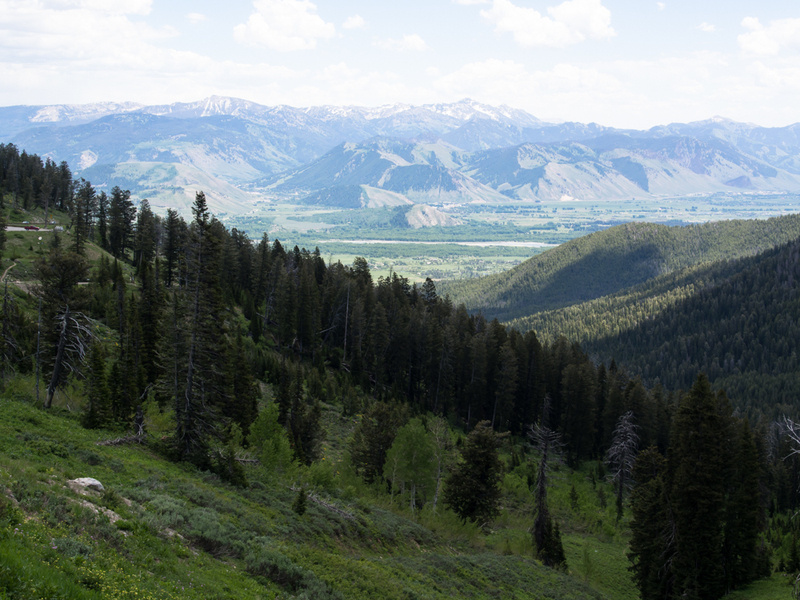 From the crest we could see Jackson Hole below. As it turns out, the night we chose to stay in Jackson was the first night of "high season" and room rates doubled. But, Kathleen found a motel close to our chosen restaurant that was reasonably priced. We had dinner at Wild Sage. Wild Sage is a four-star eatery and it was well worth the $150 a plate price. The cocktails and wine were excellent as were the main dishes. Next morning, we did a resupply in Jackson and headed south toward Piney. 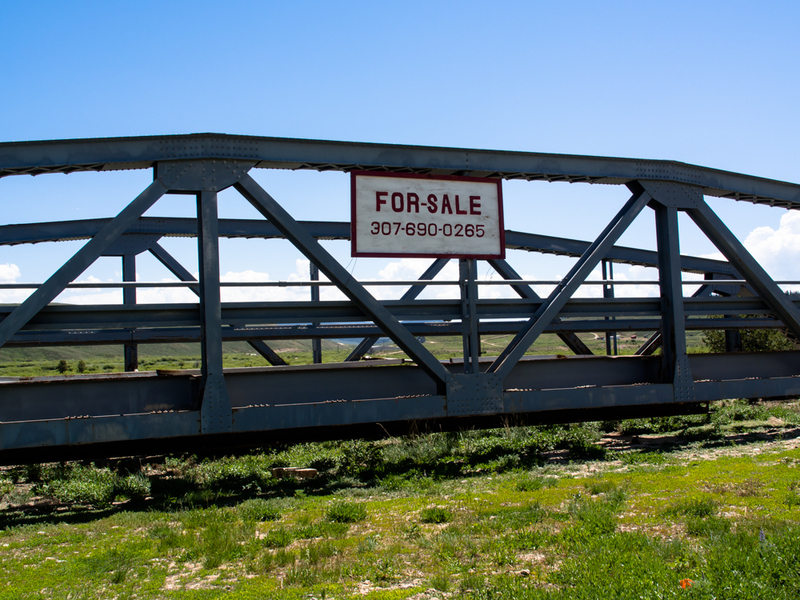 Along the way we saw this retired bridge for sale. If you want this bridge, I have one in Brooklyn for sale that you will also like. 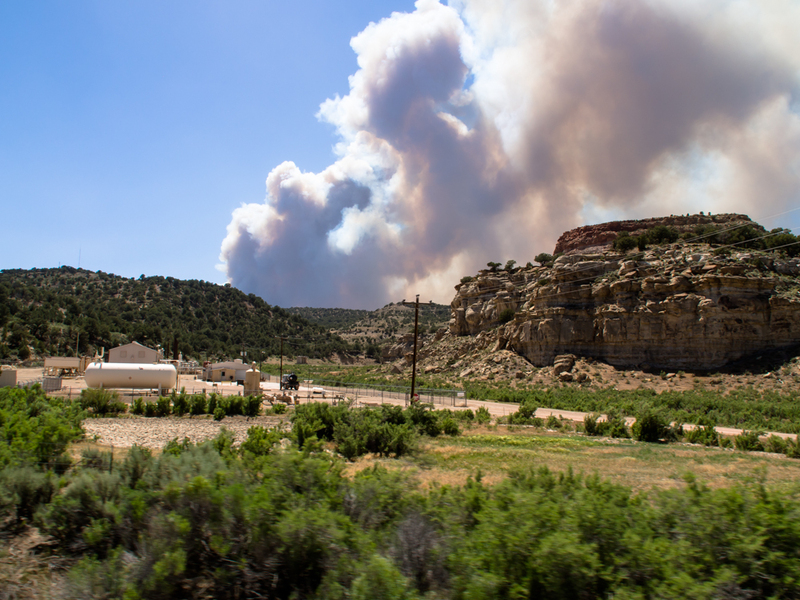 We had a pretty long travel day and ended up in Fire Hole in Flaming Gorge. 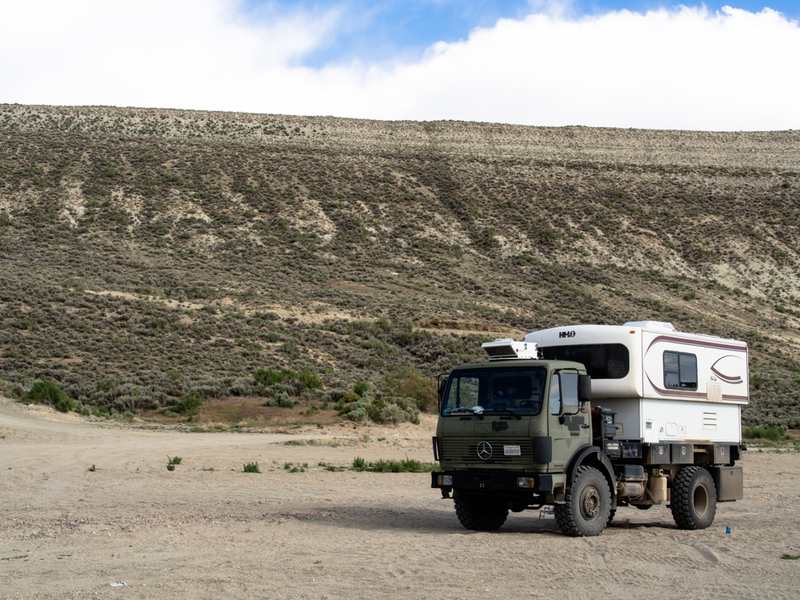 We elected not to stay in the organized camp and headed south along the lake front on the dirt road. 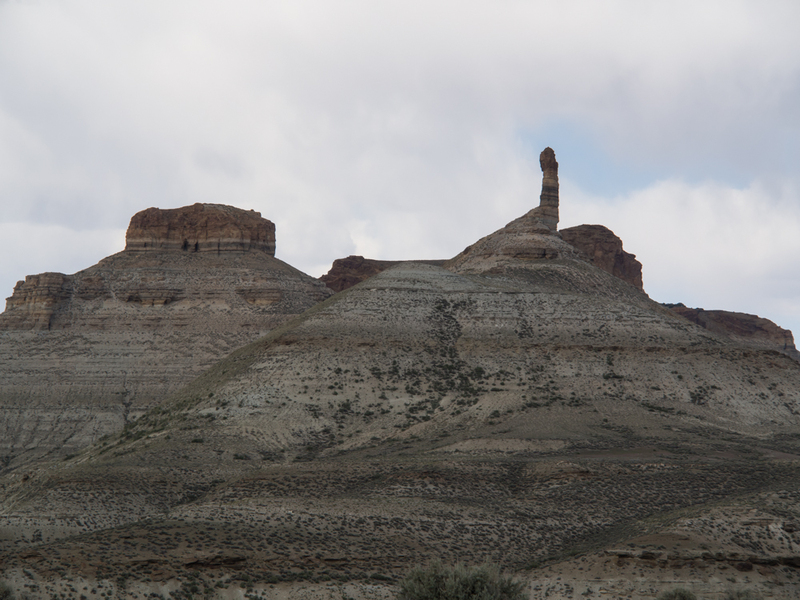 From our camp we could see some of the better formations in the canyon. We chose our camp specifically to be alone. That turned out to be the case for about 3 hours. Around sundown Jed and his buddies came in and spent the night about 40 meters from us. Jim, Jack, Johnny and Old Grand Dad were invited as well. They passed out about 0200 and were not so happy about our 0800 departure. But, I figure that what comes around goes around. Before they showed up, I got this shot of Thor against the walls of Flaming Gorge. 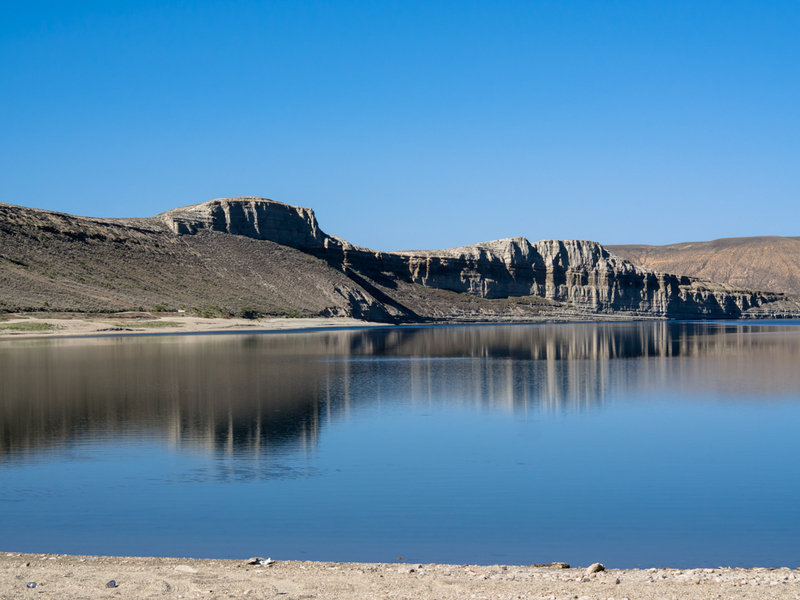 Next morning the strong winds abated and provided a smooth surface of the lake for a nice photo of the distant cliffs. 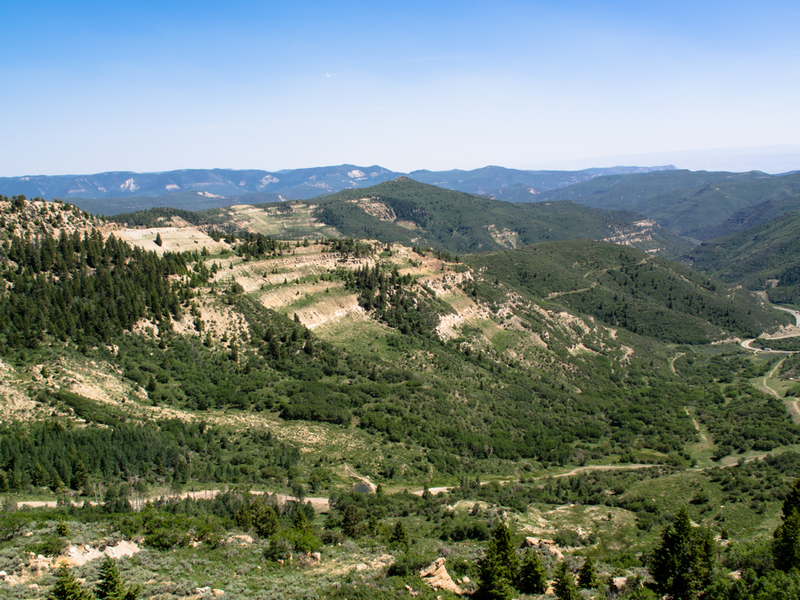 We headed south past Dutch John, UT and over the Uinta range into Vernal, UT. 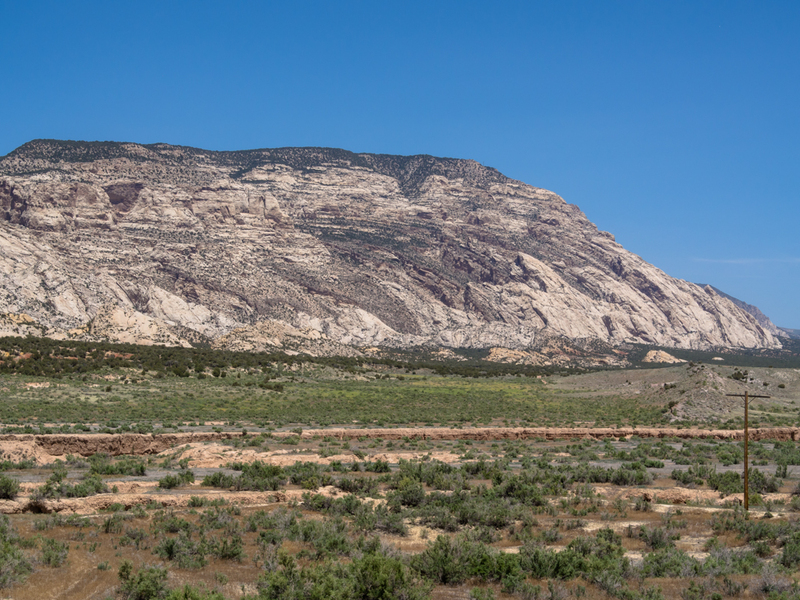 We ate in Vernal and then headed east past the Dinosaur monocline. 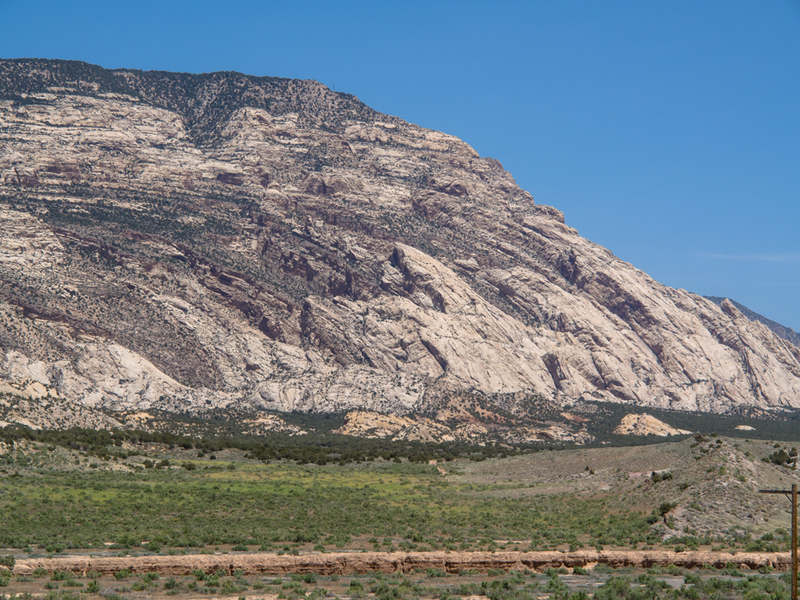 The monocline exposed softer layers of rock to erosion producing interesting canyon features. We turned south at Rangely, CO toward Grand Junction. We spotted smoke on the horizon about an hour before we hit Rangely. Our path took us pretty close to a fire that was burning out of control in the high winds. Note the structure in the lower left of the photo? That is a natural gas compressor station. We saw plenty of workers positioned strategically along the boundaries of the pipeline facilities as the miles passed. I am guessing they were awaiting orders to shut things down if the fire was in danger of engulfing the facilities. 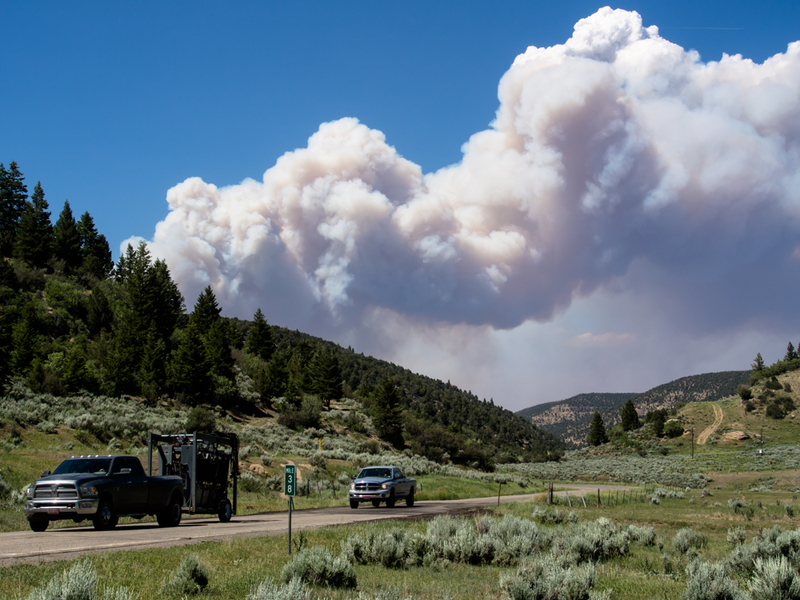 Once we got past the leading edge of the fire, I pulled over for a better photo of the fire. The lead truck has some kind of oil field equipment in tow. 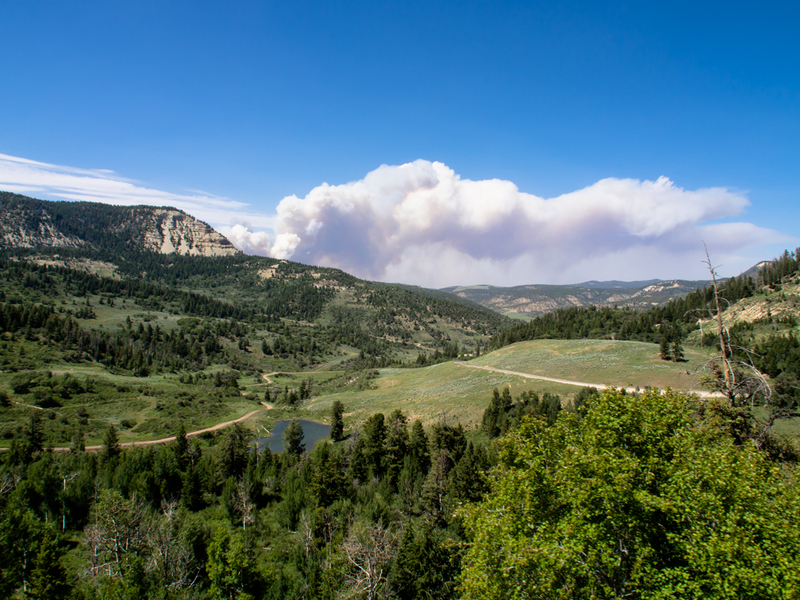 The road took us over a 8200 foot pass and from the grade we could see the smoke plume from the fire. From the crest of the pass we could see the steep grades of the south side. The road was intense, requiring 3rd gear (of 5) at some points on both the up and down slopes. 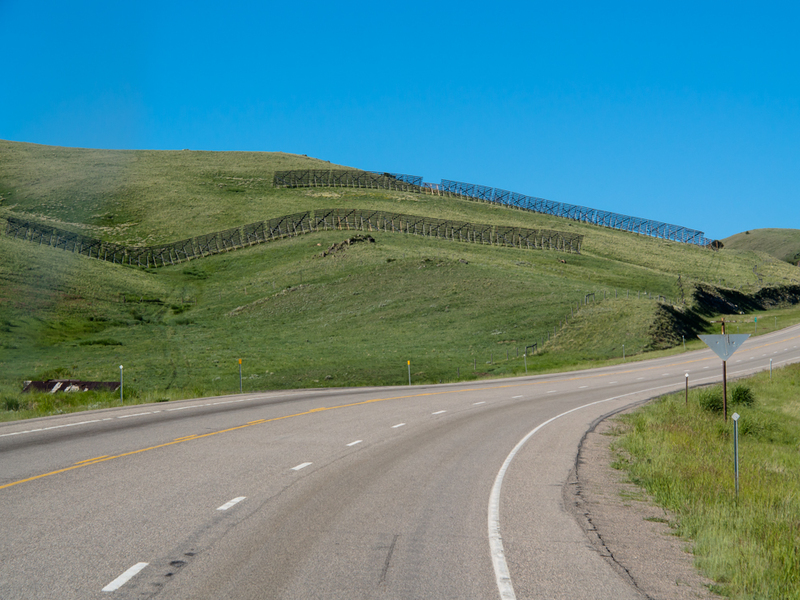 The road was built to support the oil and gas production south of Rangely. From the crest, Thor looks wimpy against the cliffs of the road cut. We ended this segment of the trip at a Colorado State Park at Highline Lake near Grand Junction. The park is nice and had what we needed which were showers and a laundry. This section of the trip was not as scenic as some other portions, but still satisfying. Eating at Wild Sage was a real treat; we had eaten there before on an early trip and it was as good or better than we recalled. Jackson is a tourist town, but once you get past that, it is a nice place. Wyoming is a big place and traveling across some sections, particularly in the central part of the state, can be boring and monotonous. Tomorrow, we head into Grand Junction to visit the Cabela's store. From then we head east toward Denver and a meeting with some friends.